Batch coding on pouch, carton , label, bottle, cable, etc. We offer inkjet coding machine, for all coding and marking applications available in in several specification including standard, modified and customized. 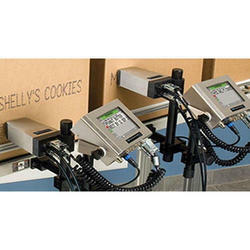 Online Ink Jet Coding Machine for Batch Number Printing on Pouches, Boxes & Containers. Speed: UptoGOO Mts/min, 8“ touch screen color panel display. 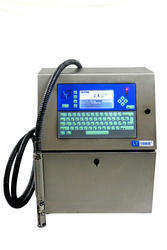 Reliable in nature, these Inkjet Coding Machine are best in finishing and efficient in working. Small in size, these coding machines are superior in quality and shock proof in nature. In addition to this, these coding machines are reliable and safe to use. We charge minimal price for this coding machine.